Perhaps the best example of this so far is FaceTime, Apple’s take on video-calling. FaceTime makes video-calling on the Android-based Sprint HTC EVO look silly, because the EVO awkwardly requires users to sign up and download a third-party app, then launch it every time they want to talk. Normal people simply won’t do this. Apple eliminated this friction by innovating at the confluence of hardware and software—hit one button mid-call and the feature just works. It really is amazing (yes, I am channeling Steve Jobs). But this rapid innovation—which is good overall—causes a negative byproduct: “feature bloat.” The HTC EVO, which crams in 4G wireless, epitomizes this best (sorry, but mobile 4G is not ready for primetime, and I firmly believe Apple won’t even include it on next year’s iPhone 5). This leads to a “kitchen sink” mentality, which conflicts with customer development frameworks, ironically driving a maximum feature set. Pressure from handset OEMs is a driver, but component vendors also tend to use competitive analysis to shape their marketing requirements. Steve Blank made some excellent insights into why this leads to feature bloat. The poor reviews of the HTC EVO are proof that—though alluring—additional features don’t always speak to consumers. Especially when they kill your battery overnight. Apple thinks much differently about adding features. While the HTCs of the world “differentiate” blindly based on available technology, Apple innovates only when it can create a superior, well-integrated user experience. How? Every component vendor in the world visits Cupertino to share its “secret” roadmap—despite the fact that Apple now competes in SoC development. The dangling carrot of an Apple design win simply outweighs any aversion to sharing. This transparency from other chip makers is extremely powerful, since handset OEMs plan several generations out (e.g. Apple is undoubtedly in concept stages with iPhone 6 and the A6). Apple can learn Broadcom’s chip plans and mull over whether to bring portions of the digital logic related to GPS and WiFi on to the A6. New technologies like NFC for payments—bring in-house or purchase discrete? There are dozens of permutations, each with design challenges, benefits, and risks. By extracting data from suppliers, Apple’s chip team has a feedback loop into product planning. All of this collective wisdom adds up, helping Apple decide what to roll-up, buy, license, or outsource. Imagine seeing your competition’s entire feature roadmap, and then planning your own SoC strategy. It’s like seeing your neighbor’s wife naked, and deciding afterward whether you’re interested, even though you’re already married. Cisco has used a similar vertical integration strategy to its benefit in the enterprise for many years (Broadcom and Marvell pitch Ethernet fabrics despite the fact that Cisco builds its own switch chips). But in mobile, Apple is the only company who owns all three elements of the value-chain—hardware, software and chip components (outside of Samsung). Nokia divested its component division to STMicro, and Ericsson and Motorola spun off theirs as well. As multicore ARM-based chips accelerate, and as software / hardware integration becomes more of a differentiator, Apple engineering teams will out-innovate competitors at the intersection of these three levels (again, antenna issues aside). It’s much more difficult for Google, Motorola, and others to cross-pollinate information from their own independent silos. Fact is, Apple is a company run by brilliant strategists and user experience designers, not engineers. They know that deep component, hardware, and software integration gives Apple an enduring advantage as mobile platforms evolve. 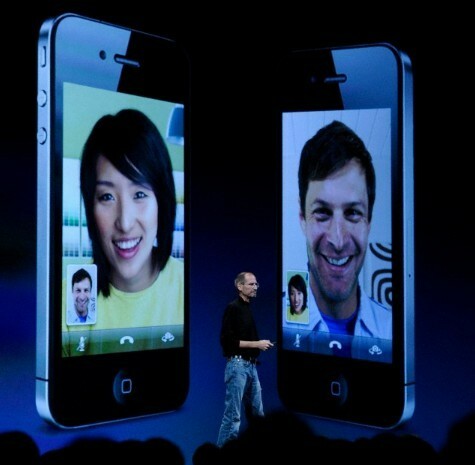 Which is why Apple will undoubtedly produce more devices and features that become huge hits like iPhone 4 and FaceTime.